I was dismayed to hear the breaking news late last night about the additional security measures for air travellers. Flying international has always been such a hassle since 9/11 and now with additional security measures in place, it is almost enough to make me want to just stay home and forget about going back to Malaysia later this year. Why can't there be a more sensible plan in place to keep air travellers safe? Yeah, like I don't don't know why! Forget about being politically correct and get the travelling masses out of their misery, and out of the airports and onto the planes! Yes, use racial profiling. We know who the enemy is. If I am in the group that is being profiled then it is just too bad. One of the most ridiculous sights in the name of airport security is to pull aside, for so called random checks, an elderly woman on a wheelchair! 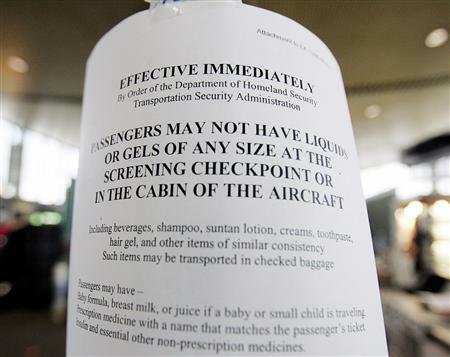 Why is it racist for airport screeners to pull aside young men of Middle Eastern descent? How many foiled plots to blow up airplanes involving Middle Eastern/Pakistani/Muslim men do we need to hear about before we are convinced that that particular group of people are the ones that ought to be singled out for profiling? Of course, I am not suggesting that every Middle Eastern/Pakistani/Muslim man is a terrorist. I am also not saying if a non Middle Eastern/Pakistani/Muslim man looks suspicious he should be given a pass by airport screeners. He should be pulled aside for further scrutiny too. 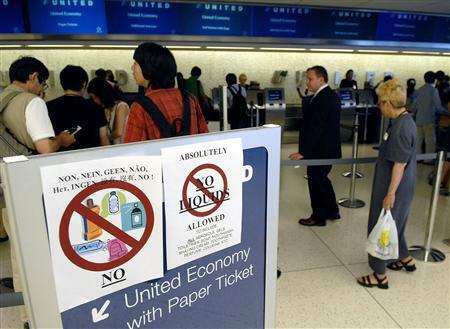 It is not sensible for everyone to be put through all the additional hassles of airport screening, resulting in long lines and delayed flights, just so we can say that we are not racist. Being on the receiving end of anti-US sentiments, I think it is a rather good call to just do things politically correct at the expense of everyone. We all have to carry your fair share of the burden caused by those irresponsible few fanatics. I'll certainly wouldn't like it at all to go through everything like that, however, one must be grateful that we get to travel safely at all compared to before trans-atlantic air transport was available. Have you travelled to and out of the US since 9/11? The lines waiting to be screened by airport security, and not just one check point, are just horrendous. And it is no walk in the park esp when travelling with young children. I say, be sensible and practical - profile! Anti-US sentiments, we can live with, but what we have here is an idealogy that seeks to destroy the "great satan". There is no reasoning with such an idealogy. Travelled to US? Unfortunately, that was before 9/11. What I meant was that by profiling, they create even more attention especially when today's media can focus only on a particular issue and not the big picture. When US "liberated" Iraq, in Malaysia the news headlines read "invaded" Iraq. So as you can see, that create even more hate for the US. Profiling might do the same I guess. Anyway, I guess there is no possible way at all to please everyone. i'm does not really know what is really going on there but in my point of view, that is among the measurement that the US government could do o ensure their safety. Yes, US is one of the main target of islam terrorist. If US is the Great Satan then for me Islam is the living spirit of Lucifer. Well to be frank, US governemt should screen every muslim whose in and out of the country.